So now that the (ugh) worst is over, I'm curious to see how the Megaroad comes in to play. We know for a fact that Lady M was/is aboard the Megaroad-1 and is most likely Minmay, however what she's been doing and where the Megaroad actually is are mysteries. What are your thoughts and theories on this?? For me I have been wanting for years & years now to see a series that deals with the Megaroad-01. A six or 10 part OVA would be fantastic. 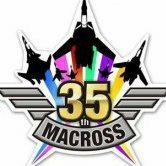 My only concern for Macross at this point though is who is doing the writing and who is directing. Because everyone in charge of Delta failed on some serious levels. And bring Yoko Kanno back!! As for Walkure returning.... let's just skip that part. Oh and if doing a Love Triangle, actually do one, because Delta was like watching three 8 year olds avoiding getting the cooties from each other. You're right on everything. I REFUSE to allow them to take the Megaroad-01 arc and butcher it like they have Delta. I REFUSE!!!!!! I agree with the sentiment on Megaroad-1; if they ever do it, it would be nice to have a mix of new and old characters, I think Mac7 did a reasonable job on the mix. You always knew the story was around Mylene, Basara, etc, not Max and Milia, but those two had important contributions. They need to do something along the lines of Zeta Gundam to get a nice balance of characters. They don't have to have new mechs, let's face it, I for one would be happy to see VF-1s and VF-4s. I don't need a brand new line of fighters, just a great story. Should a Megaroad-01 project come forth, I anticipate that half of the people here will be happy, while the other half bemoans the trashing of their cherished original characters. Loudly and often. And that's before even considering whether the production would be good or not. So I personally would prefer that Megaroad-01 remains an unsolved mystery. When we last saw the original triangle, they were all relatively young, and much could have happened to them in the meantime (assuming that whatever story is being told is set contemporaneously with the main Macross timeline or even around the "Lady M transmission" period). Any significant differences in the character dynamic would easily be explained that way. It would probably be jarring for some viewers; it worked out for Max and Milia in M7 because they were supporting cast, while the original triangle helped to define SDFM. The writing of the characters would benefit from 35 years of updating; series Hikaru did get hit with the stupid stick really hard after Episode 27, and SDFM's character interactions can feel charmingly antiquated these days. But people hate change. There would be an urge to revisit the love triangle after 50+ years, which I think would turn out to be incredibly trite. Carrying a torch for fifty years is romantic and all, but also really boring. The less-risky plan is to take the M7 route and focus on new characters, moving HMM to the background, but they'd STILL end up drawing all the attention even if the new characters were amazing. But they can't all be killed off, people won't care about the new series then and/or will be incredibly angry. So if there's a new series, Hikaru should already be dead before it starts. It would bypass the tragic death of Arihiro Hase, and would give Misa and Minmay a reason for conflict. Even if they all bonded and mended fences after Flashback 2012, removing one side of the triangle is a very plausible source of conflict. My idea would make a lot of people flip tables and not want to watch, so I'll return to my initial statement and say that Megaroad-01 should never be seen again. 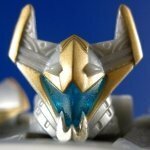 I'd be cool with a dead Hikaru, he was still skull leader right? That's no cakewalk position. Is be cool with most of them being dead after some brutal encounter with just a few survivors. I would prefer it staying a mystery. Name dropping it like they did in Delta served no purpose to the story so I question bringing up at all. Megaroad's ship sailed a long time ago. I'm happy keeping it that way. I imagine megaroad 1 found a super foldgate at the center of galaxy that send them to another galaxy far away and cant go back. My thoughts exactly. Stories have endings, and Hikaru, Misa, and Minmay's ended. Now, granted, instead of closing off questions about what next by saying "they flew it into a wormhole and disappeared", I probably would've said "they found a planet and colonized it" just to avoid the years of fan outrage. But that would tempt future writers to tie their stories to that planet somehow, as if it gives them an air of legitimacy. And then suddenly Hikaru Ichigo Jr is the star of a show, and then Hikaru Focker the Third, and it NEVER ENDS and one family dominates all of galactic history. Maybe they can follow the story line of Startrek Voyage. Somehow Megaroad meet the real protoculture over there, got some super cool technology, and then come back to our galaxy. When they come back, they found the whole NUNS so corrupted, so they decided to act as the guardian for human, slowly plotting their evil plan to take over the galaxy. I don't mind loose tie-ins like they mentioned in Delta. I really don't. As far as the "need" to tell the Megaroad story, I can do without that. That story is (give or take) 30 years old now, and I really don't want to go back and see VF-1s, Hikaru, Misa, etc. on some new series. If they did it, would I watch it? Yes, but I would rather see stuff like Frontier, Delta, etc. Stuff that forwards the franchise is needed, not stuff that has long been out of the limelight. It may be cool for older fans, but I believe it'd actually do more harm to the series than anything else. New fans don't need to go back to old stories, and it just seems like it'd be something just to appease a minority older fan base. VF-1s? Naw, Megaroad had VF-4s. Who are we to judge what Space War I veterans with David Xanatos amounts of money do with their time? Compared to the NUNS, they are the only good people in the universe that can still be relied on. Still betting on Lady M being Gina BartroW. Lady M is Dr. Chiba, gone off the deep end and insisting he is really Minmay. It explains EVERYTHING. Megaroad-01 should stay among the unexplained. Like JasonC, I'm fine with the name drop and giving hope that they're not all dead, but a new series or movie with centered on them drags the franchise backwards. Delta may not have gone the way I'd have liked, but it expanded the universe, gave us cool new stuff, and opened the doors on new possibilities. That's where Macross needs to go. It just...needs to do it better than Delta did. Ah well. I can dream of how awesome it COULD be but will probably NEVER be. Here's a thirty-second cheap sequel hook: While everyone was Tang, Richard Bilrer felt the presence of Minmay, or at least he thinks he does; it's not easy to sift through several hundred million other conciousnesses without a phone book. So when he gets out, he immediately commissions an expedition to go to the area that the Megaroad is in. Along the way, they visit the casino planet, meet their counterparts from an evil mirror universe, get made very small, etc. But the Jenius family does anyway, does it not? (Just like their Sterling version did earlier in Robotech). Not really. No Jenius in Frontier or Plus, and the Jenius in Delta was rapidly converted into a background character. Also, the Jeniuses are cooler than the Ichijos, so no problem. Watch your tongue! Mirage was a secondary character at worst. I remember SK maintaining that he will never go back to the story of the original Macross crew. Done deal. Story over. Mentioning Megaroad-1's fate in ep25, when it has absolutely no bearing to the plot, was weak fan service. And if the revelation was not meant to lead to an eventual revisiting of the mystery in a later series (e.g. What happened? Where are they? Who's Lady M? etc etc), then this reveal was just needlessly cruel and evil. I'm actually being serious. She appears out of nowhere at least once in The First. Before the extremely long interlude it currently is in, it was retroactively trying to make subtle connections to the rest of the franchise before Delta. Hopefully it is starting again this month. I didn't think it was weak fan service. I think it was good enough to have quite a few people here talking about it, and giving the nod that they ended up being alright. There's also a reference to this in, I believe, the Miss DJ drama release, so it's not anything exceptionally new. Granted, it is a little bit more info than the CD I have, but in reflecting back on this entire series, it was strongly tied to elements of the first series. It did so in a way that is stronger than most realize, and I'm OK with that. I don't mind not knowing everything as I've pointed to in my previous post. I like that it had those strong ties, but was far from it. I've heard so much whining about it not being like SDF Macross, or not like Plus, but if that is what is wanted, re-watch those. I'm so happy that it took a different presentation of newer AND older things. There were issues with pacing, and some of the writing was just kinda sad, but overall, I enjoyed it, and I'm not going to complain about it "not being my Macross" or anything like that. Luckily, I spent a portion of my anime watching hurdling the oldtaku syndrome, where we start to complain that things aren't how we used to watch them. I have a fresh set of eyes when watching any anime, and that's why I can say that I enjoyed the series. Now, if we get one or two movies, I do hope they are continuations so that we can get some of those open questions answered. Who is Lady M? Will Heinz continue with dealing with NUNS? Windemere still has a large army of SV-262s waiting to go on the attack. I hope there is much more explored in, what is, a complex plot. Re "what happened next", I can't unsee the image of (flaking) Freyja singing Giraffe Blues in front of Larrazzabal's mecha gun again - only this time, she is not protecting Hayate but (flaking) Heinz. Because Larrazzabal would so get back at Windermere, and the Voldor army is immune to Heinz' singing, and Windermere has just lost its ace pilot - so the war is pretty much a one-sided affair, even without Xaos. Honestly, I was only half-joking. Aside from the name, Lady M's role in the story seemed tailor-made for Chiba. And the idea of a Chiba that took his Minmay obsession to the next level and tried to BECOME Minmay just makes me laugh, so I keep throwing it out there. I can totally see him adopting it as a code name, though. You wish. I do to,but Mirrage was a teritery character who just happened to steal every scene in which she did something. While I don't need to see a history of what happened to the megaroad I would love to see it show back up now. As the saying goes, they have to "crap" or get off the pot. Frontier teased a Minmay connection with that locket Birla was holding and Delta with Lady M. It's starting to get as bad as that other show - but animation is actually being produced for this one. I'd prefer the fate of the Megaroad 1 to remain a mistery, but with the hints being left in Frontier and the talk of Lady M in Delta, it seems that sooner or later they will bring it up. I just hope they don't butcher it with some silly retcon of previous Macross iterations. Agreed. Please just leave the Megaroad alone. Sure I would love to see what happened to them. I just don't want to see those characters in something that's in the same tone as Delta. My only suggestion: Lady M is Minmay, and Misa threw her off the Megaroad on their way out. Am I the only one that suspects Lady M is Misa and not Minmay? Minmay doesn't seem like someone that could pull off everything that Lady M seems to responsible for in Delta, where as Misa has the background, skill, and resources. While that is true, it's also been some years between Megaroad-1 launching and Delta. A person can gain a lot of skills and determination between then and now. Also, I'd hate to think that Misa would turn out like that (JMO), while Minmay has always been a bit shallow and self-absorbed. If the Megaroad had an OVA- I think the tone would be similar to Macross Zero. If Lady M is Minmay- the she could survive whatever horrid outcome came of them leading a group of other surviors to a new world, etc.